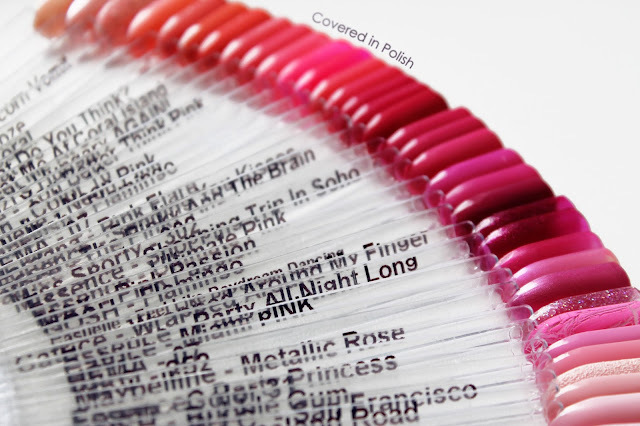 About two weeks ago, I ordered 350 nail swatch sticks from Born Pretty Store so I can finally swatch all of my nail polishes that are in my collection. I got loads of them so swatching each and every one of it may take a while! I have made ​​a start by swatching all pink nail polishes. It took me way much longer than I first thought it would! 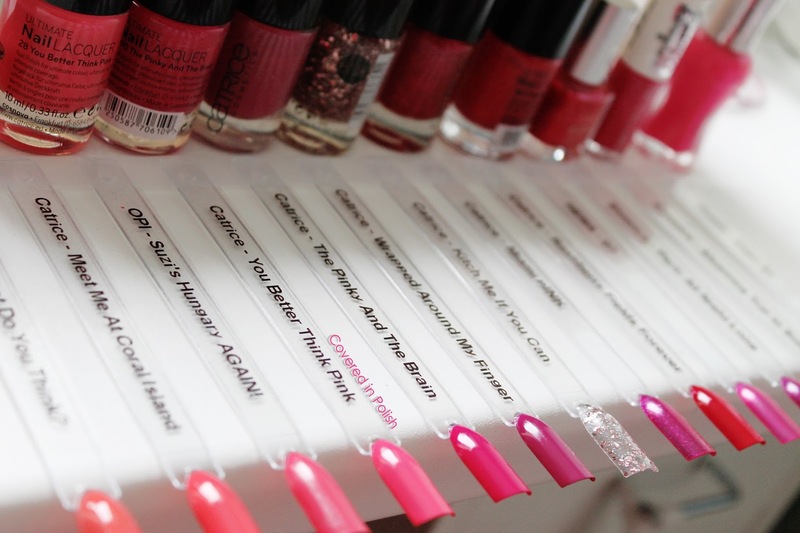 Line up all pink polishes from bright to pastel, make labels for the sticks, stick them on there, then polish the tips of the sticks with at least two coats of nail polish, let it dry... And lastly sort all swatches neatly by colour. Let's take a look at the pictures I made during this long project. First I taped the sticks with Scotch tape to my desk, so that they would stay in place while I paint them. 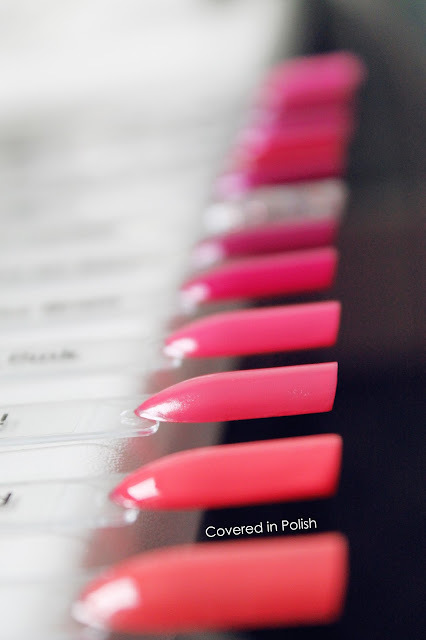 Then I printed out a label for each polish with my Dymo label printer and stuck it onto the swatch stick. 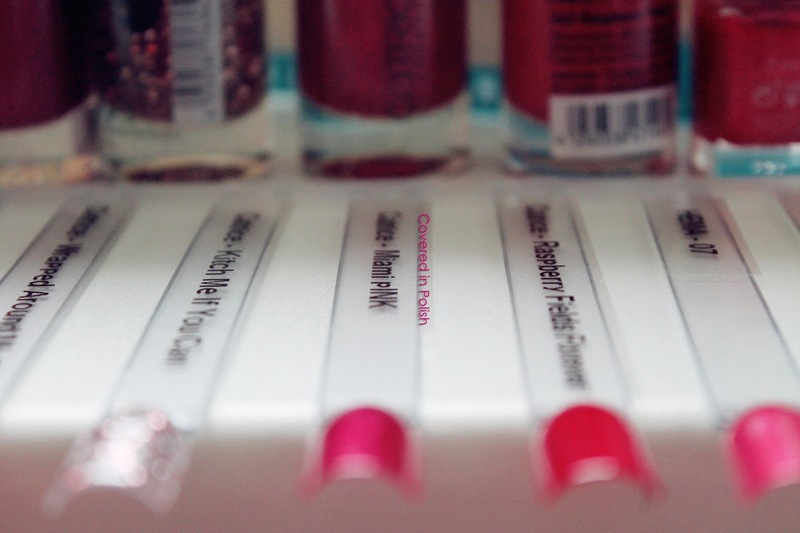 When I had stuck all the labels on there, I began swatching the polishes. Oh my, what a smell! Even with my window open, I got almost high from the fumes. So by the time I was done swatching the pink polishes, I left my room to get some tea. Although I got a headache after all these hours of polishing fake nails, I had fun doing it! Now comes the hard part: sort them by colour. That was quite a tough job to do. 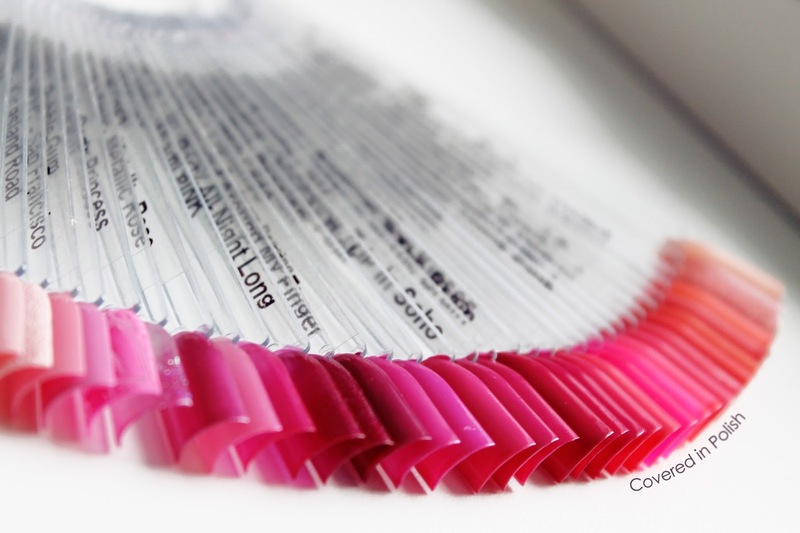 Everyone knows how the rainbow works, but have you ever tried sorting over 40 different shades of pink? Neither did I, and boy that takes a long time. When I thought I was on the right track, I rearranged them AGAIN. Now I am quite satisfied with the outcome. Here's my fan of pinks. If I counted correctly I have 43 pink nail polishes. This is SO pretty! I can't take my eyes off of this neatly organised fan! Check out the close ups. Hope you liked this post! When I'm finally done swatching all of my stash, I will upload an update! I love this post! 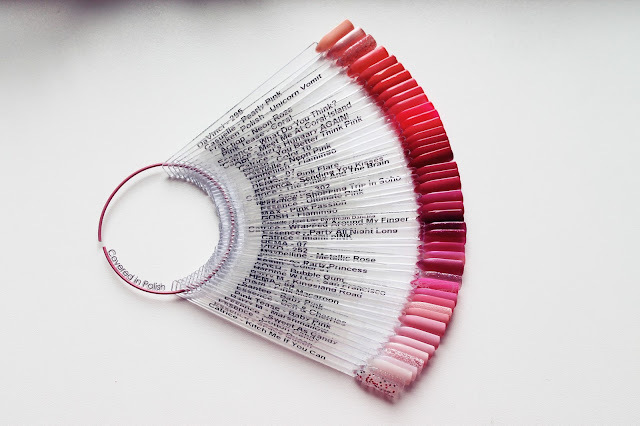 Your swatch sticks are so neatly done. Thank you! I'm new in this whole blogging thing, so I really appreciate this!